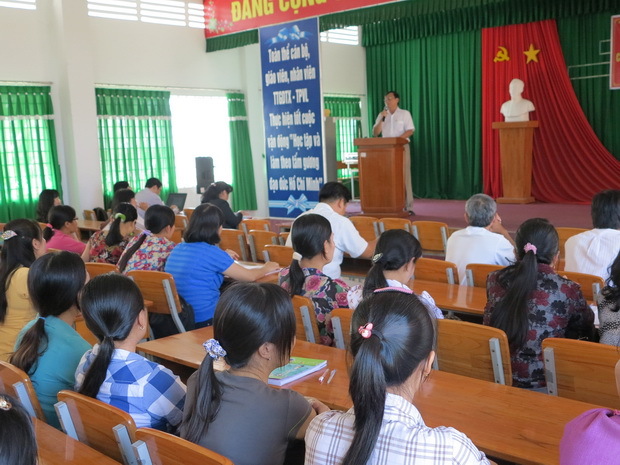 The English training courses and the teaching methodology training course for primary school teachers of English, jointly conducted by Vinh Long Department of Education and Training, started on April 26, 2014 in Vinh Long Province. The courses aim at helping primary school teachers of English improve their English language proficiency in order to achieve level 4 of Vietnam’s Foreign Language Proficiency Framework and be updated with the contemporary English language teaching practices and methodologies at primary schools. These courses are also intended for primary school teachers of English to enhance their self-study skills for the self-professional development. The courses will last for from April 26 to August 24, 2014.